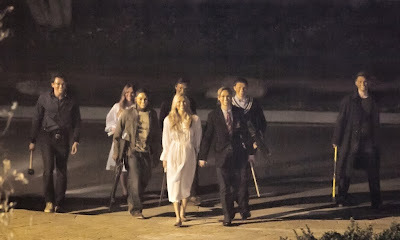 The producers of Paranormal Activity and Sinister are now unleashing The Purge on audiences around the world. 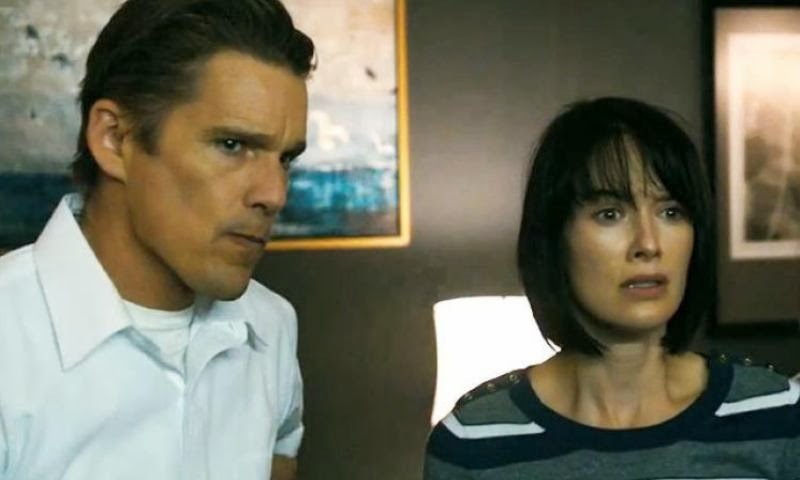 James DeMonaco, who is best known for writing movies like The Negotiator and Assault on Precinct 13, takes on both writing and directing duties while Ethan Hawke and Lena Headey take their turns in front of the camera. 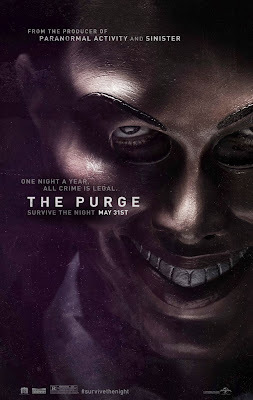 In the near future, the United States government has established an annual event called "The Purge" where, for 12 hours, all crime is deemed legal. Since the inception of this half day of ultimate freedom, yearly crime statistics have been reduced to near non existent levels due to the population having one night to get it all out of their system. James Sandin (Hawke) is the lead salesman at a security firm that has been providing home protection services to affluent neighborhoods looking to protect themselves from the rampant crime wave. Having installed the most state of the art system in his own home, James, along with his wife Mary (Headey), have gone into lock down mode and are prepared to wait out the night until their son Charlie (Max Burkholder) opens the door for a man clearly running from trouble. While this bloody stranger (that's how he's listed in the credits!) hides himself somewhere inside the house, a masked mob, complete with various weapons, descends upon the house in hopes of finding their wayward fugitive. Thus begins a night of terror and survival that is sure to change the lives of the Sandin family forever...if they survive. Prior to seeing The Purge, I wasn't quite sure what to expect, but had high hopes that this would be the brutal thrill ride it promised to be. While what I ended up seeing was fairly entertaining, it didn't quite live up to its potential and left me wondering what could have been if the story had been handled differently. Sure, there were a few thrilling moments and some pretty cool action scenes, but the story fell far short of having the consistent level of tension that would have put it over the top as a first rate thriller. As far as the actors in the movie, they didn't really have much to work with other than what you would expect from a story like this so there really wasn't anything to complain about. I find it hard to say whether The Purge is good or bad, its just sort of there. The movie has a few things to like including some creepy masked villains, a few good fight scenes, and a couple twists and turns that keeps it all from falling completely flat. Other than that, it really isn't anything you haven't seen before from a home invasion style thriller and I can't help feeling there's a much better story there somewhere. Maybe we'll get something better from the inevitable sequel.